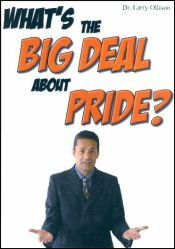 What is pride? In his fun and humorous ways, Dr. Ollison deals with the issue of pride and helps us see it for what it really is - in others, of course, not in ourselves! You will laugh and be blessed as you treat yourself to this fresh series, What's the Big Deal About Pride? This audio series contains 4 sessions on a USB flash drive.